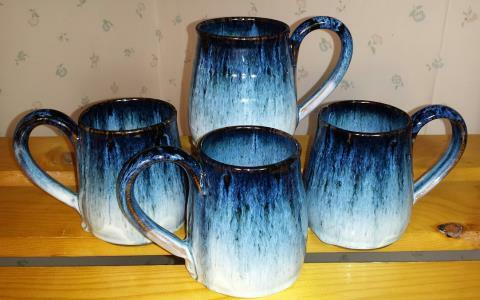 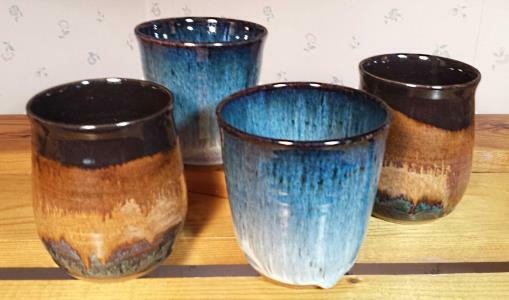 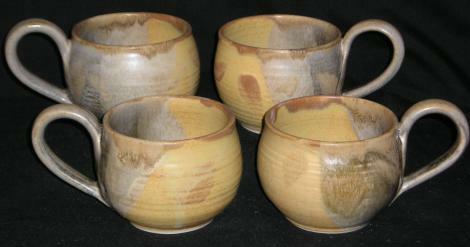 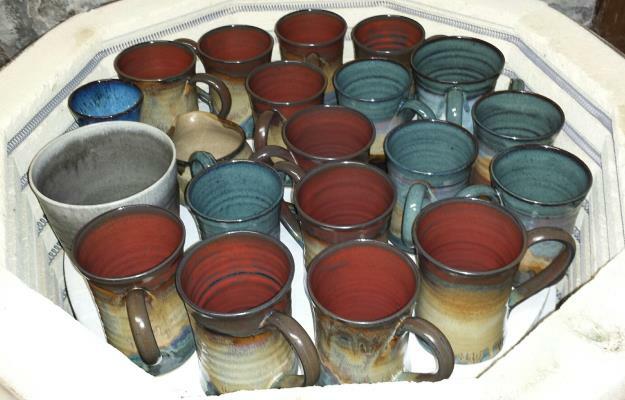 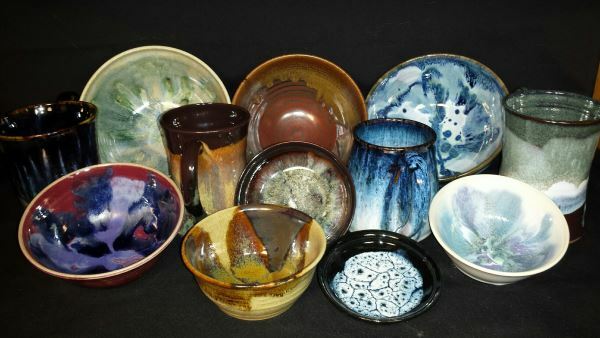 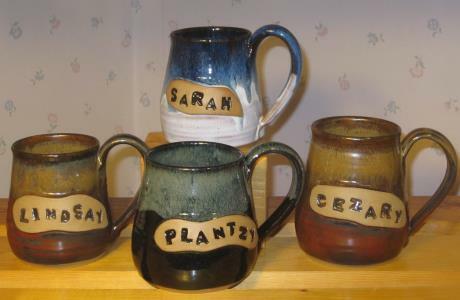 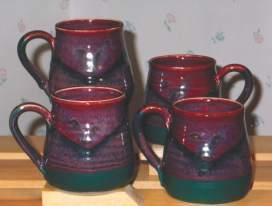 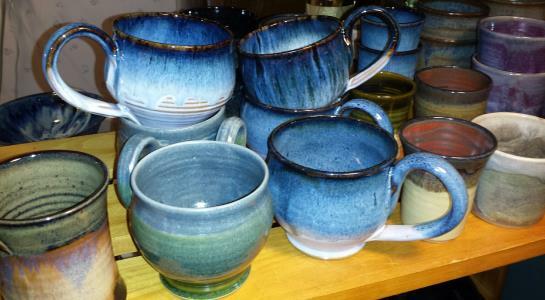 Lori's mugs come in all shapes, colours, and sizes. 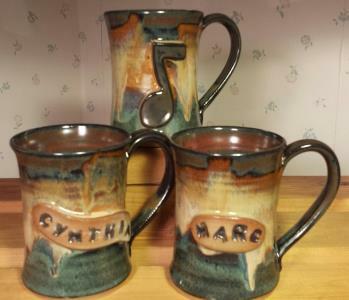 Specialty mugs include music, cat and personalised styles, as shown below. 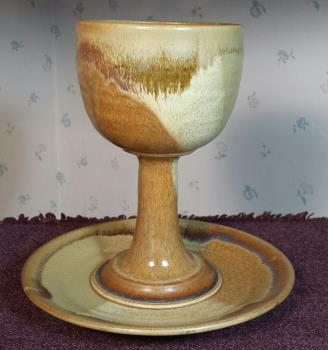 Goblets are typically 6 - 8" tall. 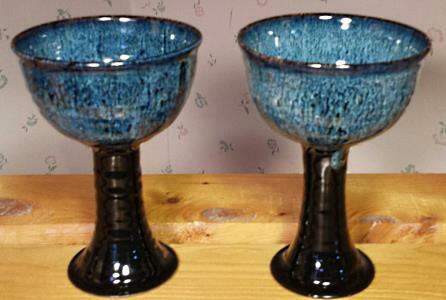 Glasses are suitable for water, wine, scotch, and more! 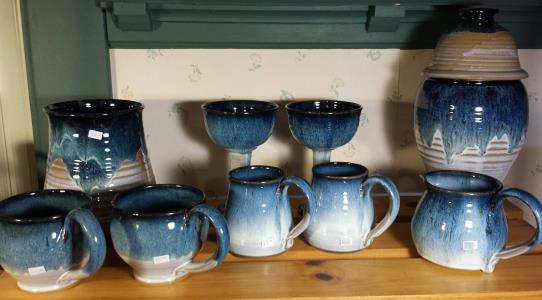 Opal and Earth Wine cups.